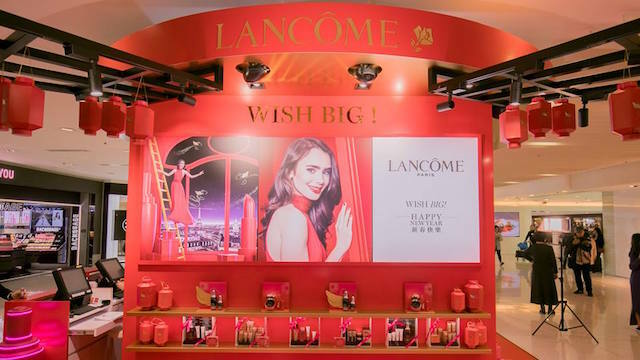 Lancôme has teamed up with Alibaba Cloud to launch an Augmented Reality game in Hong Kong for consumers as part of its Chinese New Year campaign. Alibaba Cloud’s image search technology and cloud services will allow users to engage in an online and offline experience through a mobile app and the opening of the Lancôme pop-up store in Harbour City. Merging the L’Oréal-owned brand’s products with Alibaba Cloud’s AR capabilities, customers can interact on their smartphones anywhere throughout the city, and will need to move their phones around to capture photos of the Genifiques beauty product. Customers who send in three images of the product will be in with a chance of winning a range of prizes.